At the University of Hawai‘i at Mānoa, we give you the tools to follow your dreams with a choice of 100 different majors, 87 graduate majors, 54 doctoral degrees, and 5 first professional degrees. Our Exploratory Programs assist students in selecting a major that aligns their interests, abilities, and goals. Earn your Bachelors & Masters in 5 years! 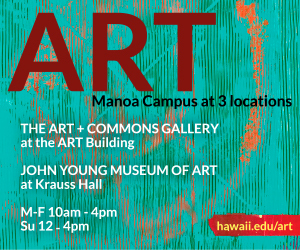 Visit manoa.hawaii.edu/bam for more information. "Maluna aʻe o nā lāhui a pau ke ola ke kanaka"